The legal landscape relating to workplace safety law in Saskatchewan is constantly evolving and changing. Fines have increased dramatically. Do you know your rights and obligations if an accident occurs at your workplace and a worker is injured? Do you know what a prime contractor is and when you need one? In this blog, we will consider 10 tips that employers need to know when dealing with occupational health and safety issues in Saskatchewan. 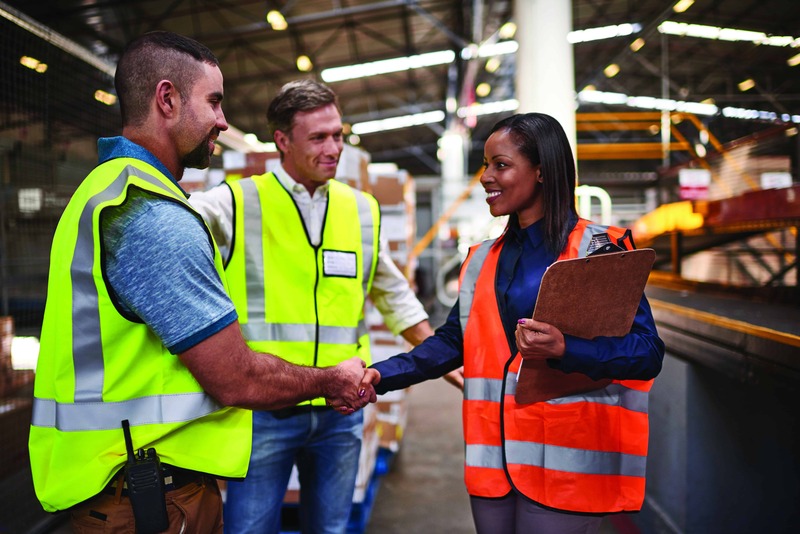 These tips constitute a non-exhaustive overview of risk mitigation practices for workplace safety issues, particularly in the context of an accident or serious injury. The best way to confirm whether your organization’s practices mitigate or expose you to risk is to discuss those practices with legal counsel. TIP #1: Be aware of the consequences for failing to comply with occupational health and safety (“OHS”) laws. In 2014 the Government of Saskatchewan increased the maximum penalties for individuals or corporations who are convicted of offences that cause serious injuries or fatalities. The maximum fines for individuals and corporations are now $500,000 and $1.5 million, respectively. In addition to financial penalties, organizations and their agents can face criminal charges. Criminal charges have been laid against employers in other jurisdictions as a result of egregiously dangerous practices. Aside from the significant legal and monetary risks, your organization could be exposed to serious reputational risks for non-compliance as well. TIP #2: Have a plan for inspections and routine audits. OHS Officers can conduct inspections of any premises, place of employment, worksite or vehicle. When a regulator arrives, try and begin his or her visit with a brief meeting to ascertain any audit plan and objectives. Also, appoint one employee to act as the primary liaison with the OHS Officer. TIP #3: Report an accident or serious injury. OHS legislation imposes broad accident reporting obligations on an employer. An employer must, as soon as possible, provide notice to the Occupational Health and Safety Division (“OHS Division”) of any workplace accident that causes the death of a worker or will require his or her hospitalization for a period of 72 hours or more. In addition to providing this notice, an employer is required to report “dangerous occurrences” to the OHS Division. A dangerous occurrence is any occurrence that could have resulted – but did not result – in the death of a worker or in his or her hospitalization for a period of 72 hours or more. A “dangerous occurrence” also encompasses certain structural failures; electrical contact; premature or accidental detonation of explosives; failure of a crane, hoist or powered mobile equipment; and failure of respirators. Employers in the mining industry also face additional reporting requirements. TIP #4: Have a crisis response plan and test it periodically. Workplace accidents typically result in panic, and important developments unfold rapidly. Accordingly, employers should prepare and test a crisis response plan in advance. This plan should focus on ensuring safety, but it should also make sure that employees know their rights and are trained in proper procedures to comply with legislation. TIP #5: Call legal counsel to assist with the investigation. Legal counsel will have experience with OHS investigations and can assist an employer with preparing for and sequencing regulator and police investigations. TIP #6: Establish post-incident communication protocols. An employer should develop protocols for internal and external communications regarding a workplace accident to ensure the appropriate flow of communication. It is helpful to use a communications “point person” and make him or her the repository of all documents. Employers should also obtain legal advice before distributing documents externally or providing any verbal comment on the incident. TIP #7: Assume the regulator will request a statutory report. After a workplace accident, employers are required to prepare an investigation report. The report’s description of the accident should be objective, short and factual. The report should avoid speculation, ambiguity, assumptions, unfounded conclusions, judgment words and legal words. These reports typically benefit from review by legal counsel. TIP #8: Manage legal privilege and confidentiality. An employer should understand the principles underpinning solicitor-client privilege and litigation privilege. The organization should also implement a policy for investigations and the dissemination of information. Information should not be disseminated except on advice of legal counsel. TIP #9: Ensure legal counsel is present at employee interviews. Legal counsel can confirm credentials of the OHS interviewer, keep notes of the questions asked and responses provided, and interject if questions are inappropriate, leading or confusing. TIP #10: Familiarize yourself with prime contractor obligations. Prime contractors are responsible for coordinating health and safety activities at multi-employer worksites. Employers must understand when prime contractors are required and who will be deemed the prime contractor. Our OHS and crisis response team strives to stay up-to-date on workplace safety law in Saskatchewan and other provinces, and hosts seminars to help employers navigate legislative changes and better understand their responsibilities. Watch our events page for upcoming information sessions and seminars regarding workplace safety in Saskatchewan.